Recently Braun Büffel celebrated their Spring/Summer 2017 collection launch showcasing the brand’s latest leather bag collection as well as the newly launched ‘Made-in Germany’ timepieces. Water has many benefits to our health, beauty and vitality. Are you drinking the right type of water? Those who have been to Japan must be envious of the great complexion of a Japanese men & women. Besides using a wide range of skin care products, the Japanese give top priority to moisturizing as water makes up to 70% of your body. The quality of the water you drink makes a great difference to your health and your skin! Hydrogen water is also widely available in Japan as their preferred drinking water to maintain their skin and health. Are you looking for convenience and good food on the go? Fret not, now you can look forward to the new myNEWS.com flagship store in Mid Valley Megamall. 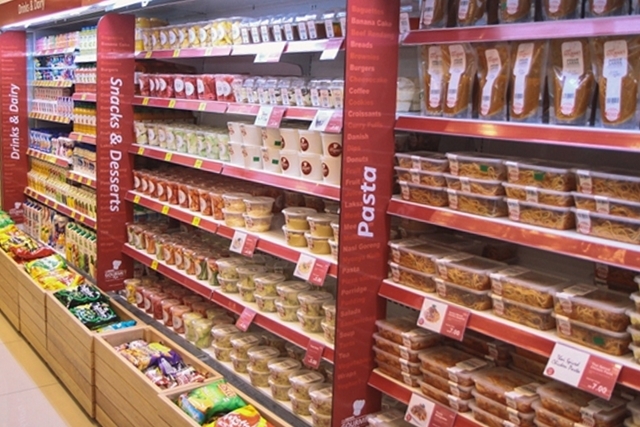 The new flagship called the “myNEWS Gourmet To Go” store now offers “Grab and Go” featuring fresh food range at affordable prices which includes made to order sandwiches and salads, Asian dishes, burgers, pastas, desserts and fresh juices. 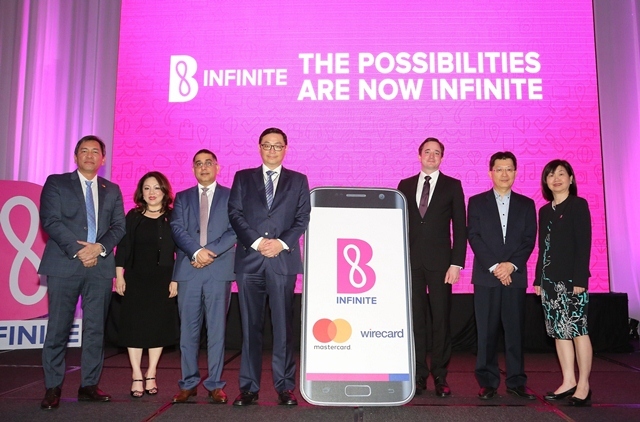 B Infinite recently revealed its enhanced capabilities for the rewards program that ‘gives more than just rewards’. It is an enhanced rewards experience for ‘I want it and I want it now moments’ mobile users. B Infinite builds on the success of BCARD, a member rewards program that quickly found success from its launch in 2011. From L-R: Mr. Perry Ong, Country Manager, Malaysia & Brunei, Mastercard AsiaPac Pte. Ltd; ms. Yau Su Peng, Director, Retail Innovation, Berjaya Corporation Berhad; Mr. Safdar Khan, Division President for Indonesia, Malaysia and Brunei, Mastercard Asia Pacific; Dato’ Sri Robin Tan, Chairman & Chief Executive Officer, Berjaya Corporation Berhad; Markus Eichinger, Vice President, Value Added Services, Wirecard; Mr. Chan Chun Fee, General Manager, Wirecard Malaysia; and Ms. Ooi Hooi Cheng, General Manager, B Loyalty Sdn Bhd. Here for Wacoal The Store at Sunway Pyramid Grand Opening recently. This will be the fourth and most inviting free-standing Wacoal’s boutique in Malaysia. The latest opening of Wacoal The Store located on the ground floor of Sunway Pyramid Mall is set to alter the traditional retail space layout and starts new trend of the way Malaysian women purchase their lingerie. 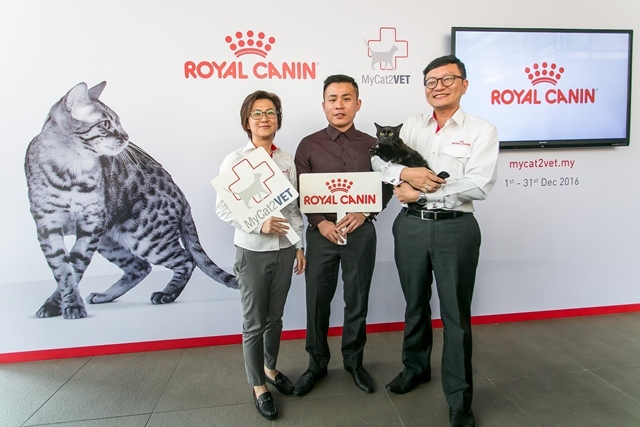 An estimated 2 in 5 cat owners in Malaysia won’t be taking their cats to a veterinarian this year, according to a survey commissioned by Royal Canin to better understand cat owner’s beliefs and motivations. One significant finding was that 40% of cat owners surveyed have never taken their cats to the veterinarian. 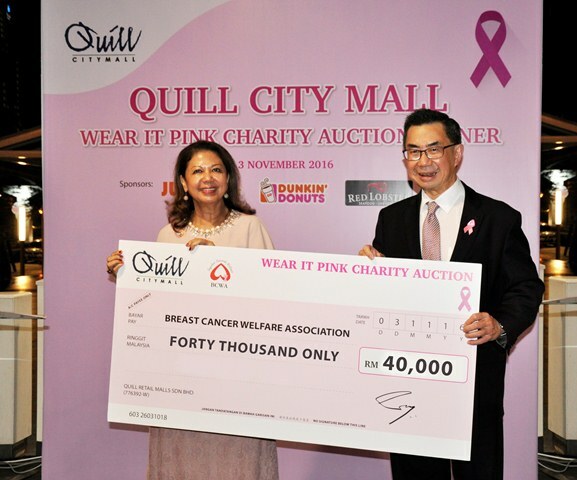 Recently we attended the Wear It Pink Charity Auction Dinner organized by Quill City Mall to raise fund for the Breast Cancer Welfare Association (BCWA). The items on auction were Jellycat bunny soft toys styled and decorated by 28 international finalists from the Miss Cosmopolitan World 2016 as part of Quill City Mall’s Corporate Social Responsibility activity held in HappiKiddo, Quill City Mall on 27 September 2016. Yes!!! Score FitMob Festival is back with more umphhh and mind-blowing action. Calling all dance fitness enthusiasts and kakis let’s join the dance and have fun. Do you know for the very first timethere will be five international ZES on one stage – so we can party and sweat it out with an all-star casts. See you there at Score FitMob Festival 2016 on 12th November, 2016 at KWC Starxpo Centre, Kuala Lumpur from 730pm. Continue to read for more details and registration. Calling all food lovers! Come and join us for SAM'S most beloved food fair happening on this 12th October to 23rd October at UG Concourse, Sunway Carnival Mall, Penang. With over 150 food and beverage establishments being set up at the concourse area, visitors will get the rare chance to sample some of the best cuisines from around the world. Hey recently we were at one of the globe’s largest technological innovators and manufacturers, Midea press conference. “Discovering the Future with Midea” is an official event unveiling its international corporate background and achievements. 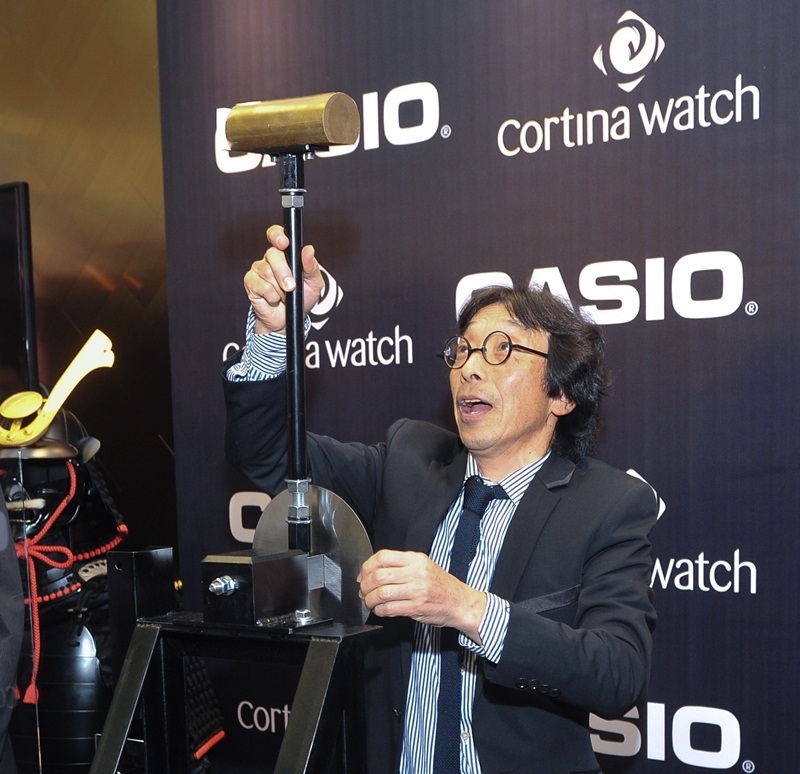 Together with its current marketing plan, future strategies to penetrate the prospective Malaysian market will be revealed as well. In Malaysia, Midea is known as Midea Scott & English Electronics (MSEE). With the hot and humid weather like now, I believe we might have to shower more often to keep our body fresh and our mind awake. 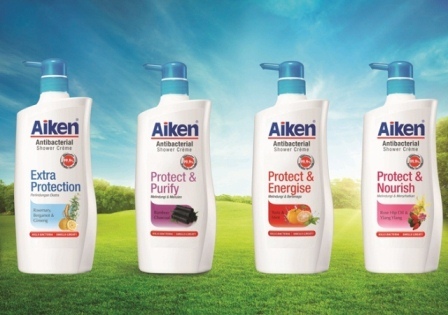 With the latest AIKEN New AntiBacterial Shower Range, experience the dual sensation of being clean as well as smelling great after each shower. Back to basics and our familiar taste bud. 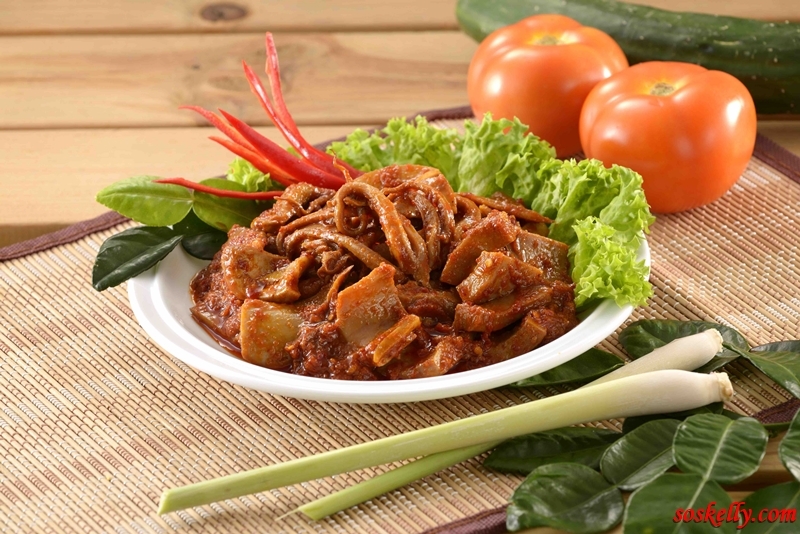 We, Malaysians love our sambal, the familiar add-on hot sauce to spice up any local dish. 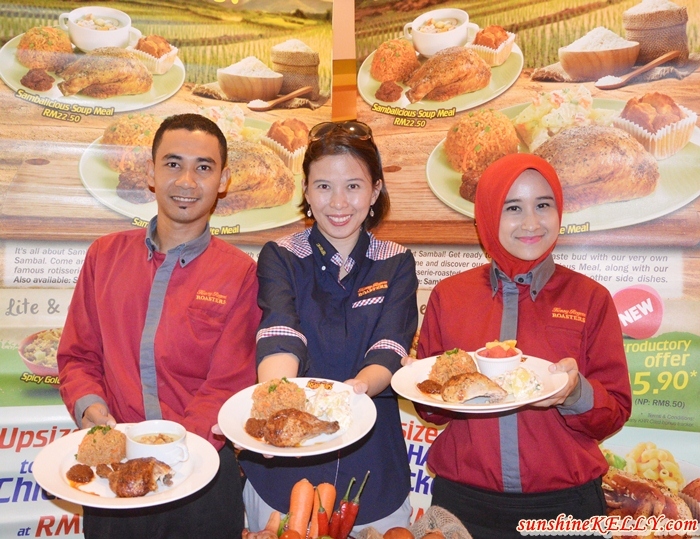 If you love sambal like I do, I am sure you will love to try Kenny Rogers ROASTERS latest Absolutely Sambalicious Meals. Watsons VIP Members can look forward to an exciting reward to celebrate its 6th anniversary with Watsons #PalingSyok Members Sale and Rewards. The Watsons #PalingSyok Members Sale and Rewards will kick off nationwide from 1 – 27 September (West Malaysia) and 8 September – 3 October (East Malaysia). Well today we are going to share about something intimate, What You Need To Know About Your V Zone Health. This is important to all women. Do you find yourself cringing from the sensation of daily wetness around your V-Zone? Any woman would agree it’s unpleasant to say the least, but most prefer to stay hush hush and not really talk about it… why? Recently Dr Jessie Chung, a Sarawak-born international singer, actress, and entrepreneur, launched her first English EP ‘There You Are’ recently. She has already taken on the Chinese market with great success. Spreading her wings further, this EP will be Dr Jessie’s launch pad for entry into the English market. Dr Jessie Chung’s EP will feature three songs “There You Are”, “Drive My Heart” and “Someplace Honest”. Yuhuu!!! Time flies and we are getting ready for the biggest celebration of the year again. Christmas is the most wonderful time and Spotlight, an AustralAsia’s largest fabric, craft and home interiors super-store revealed their six X’mas on-trend decorator colour palates for 2016 through their “Make It Merry” Workshop at Royale Chulan Damansara led by their Creative Content Manager, Mr. Nick Casey. Hey to all the G-Shock fans I am sure you want to know who is the person behind the watch that you are wearing right? Come meet the Father or G-Shock!To mark the 20th anniversary of one of Casio G-Shock Premium collection, MR-G, Casio Malaysia and Cortina Watch hosted a cocktail reception to celebrate the occasion with the launch of a limited watch collection MRG-G1000HT in the presence of the Father and Creator of the iconic G-SHOCK, Mr. Kikuo Ibe at Cortina Watch boutique in Fahrenheit 88. For the running and fitness community here is the quick update for SCORE Run 2016. This year SCORE is going to Conquer The City on 30th October 2016 at 6am. The city is yours, it’s man versus city. 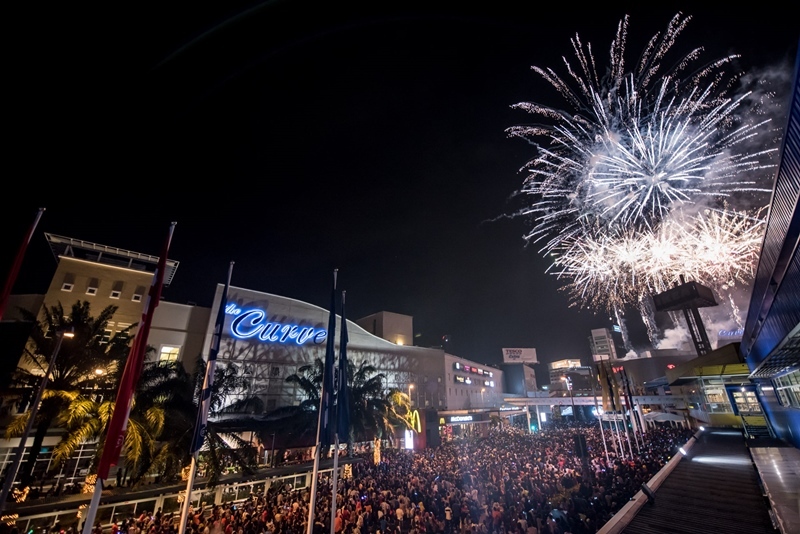 The run will kick off at the heart of Kuala Lumpur’s at Berjaya Times Square, run under the shade of towering skyscrapers and world-class hotels and be in awe as the city comes alive. Sometimes when I get back home after a long hard day I wish that I have someone to massage my tired body. Hmm… is this possible? Well I might not able to have someone to massage me but now I discovered better solutions for this. So say goodbye to body aches and tensions as OSIM uLove massage chair is there for me 24 7 whenever I need a massage. Now we have more reasons to smile this Ramadan with Darlie. We were at Darlie Smile Carnival @ Mydin USJ Mall over the weekend to catch special live performances by Ning Baizura and Back2basixx. Recently we were at the Always Look Good with Watsons Brand together with the Watsons celebrity friends. We know that the Watsons Brand has a long standing legacy of providing affordable, high-quality and value for money products for the household in Malaysia. 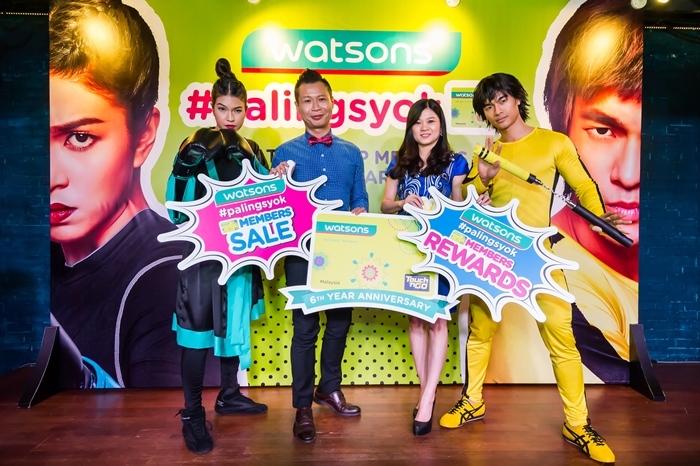 In conjunction with the Group’s 175th Anniversary celebration, Watsons Malaysia celebrates this with a twin occasion to provide its customers an enhanced shopping experience. 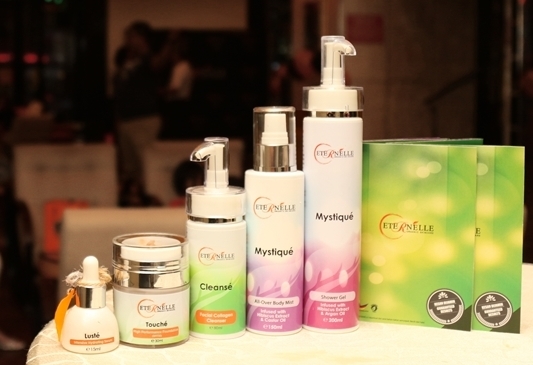 Our skin is susceptible to harsh chemicals, synthetic fragrances and damaging toxins. Exposure over time to these substances may cause clogged pores, skin irritations, premature aging and other irreversible damages. Inspired by the traditional Japanese use of high quality, yet effective natural botanical elements in their skincare regimen, Eternélle Organic Skincare delivers simple elegance with value for money and convenience. Here we were at the Berbuka Puasa with Ribena® and Chef Nabilah at Mydin Mall USJ few days ago. Ramadan and Raya moments will be more special with favourite snacks and drinks recreated by Celebrity Chef Anis Nabilah featuring Ribena® in the recipes. Yes we love to drink chilled Ribena® since childhood time and now we can incorporate it in our cooking and desserts too. Many Muslim friends will be busy preparing for the Hari Raya Aidilfitri 2016 celebration soon. Recently we had a tour at Mydin USJ Hypermarket to get to know more what they have in store for Ramadan Raya Mydin 2016 plus their latest festive season promotions. Then follow by Iftar session at Nasi Kandar Padang Kota Restaurant in Mydin Mall USJ. Introducing Ayam Brand Cuttlefish in Soya Sauce and Ayam Brand Cuttlefish in Soya Sauce with Chili. Traditionally, cuttlefish in soya sauce has been a favorite among families and singles looking for a quick, nutritious dish that is satisfyingly savory. Eaten with steaming hot rice, and some fresh, sliced cucumber it is considered a meal in itself. Alce Nero the leading organic brand in Italy, offers an exciting range of pastas, pasta sauces, honey, olive oil and fruit jams for the eco-conscious and health conscious connoisseur of food this fasting month, and the festive season to follow. 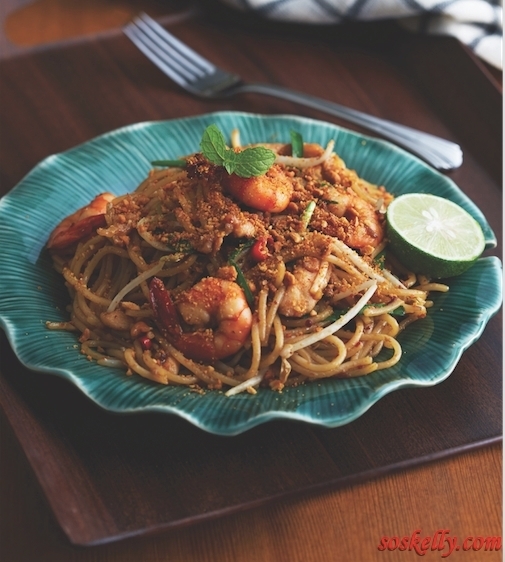 Here I would like to share some Healthy & Convenient Ramadan & Raya Recipes from Ayam Brand. 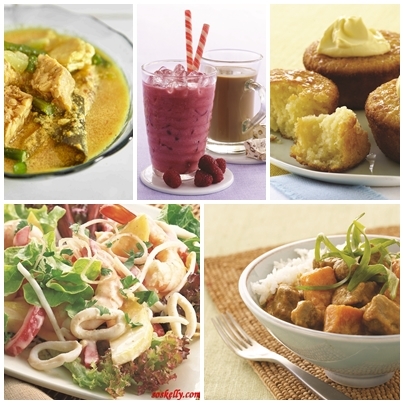 Fasting month is also an opportunity for families and friends to come together to break fast and enjoy some home-cooked meals that are made with love, healthy and satisfying. 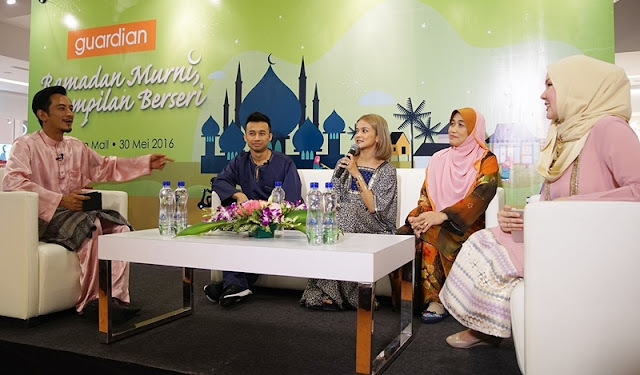 Guardian Malaysia has rolled out an exciting, multi-faceted festive promotion to enable consumers to get more for their money as Muslims start preparing for Ramadan and the Raya celebration that follows. The month-long promotion, which ends on 22 June, features a 3-for-2 Mix & Match offer involving more than 1,200 items. MUNCHY’S launches its 25th Anniversary Campaign at the same time unveils its four unique Funbots at Zebra Square, Kuala Lumpur recently. As a token of thanks to all Malaysians for their continuous support all these years, more than 2.5 million of MUNCHY’S 25th anniversary fun packs are ready to kick start the fun. We will be delighted to discover additional two sachets in every MUNCHY’S, LEXUS and OAT KRUNCH packet. As for MUZIC will be 25 percent extra content. Recently Cerebos Malaysia launched a new health beverage created from a blend of two miracle ingredients that delivers sustainable energy and long-term vitality for men who want to fully live an energetic lifestyle. The new tasty Ca’ya health beverage can provide the source of daily energy that will help today’s busy men find the perfect balance in life by powering them up in a natural and safe way as they seek to attain physical and spiritual well-being by fulfilling their many roles. 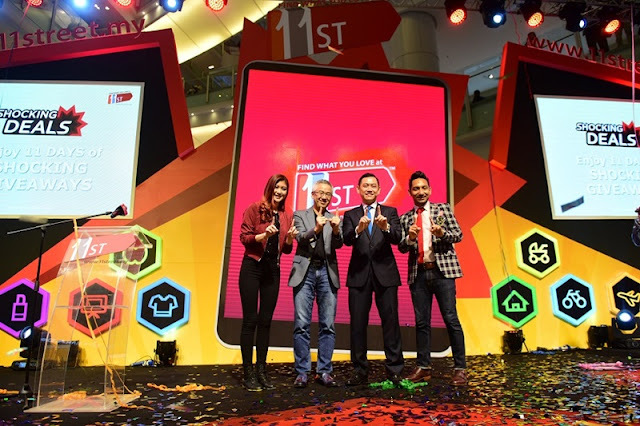 11street celebrates its 1st anniversary by bringing 11street's Shocking Deals to Life, a carnival-themed celebration that shares the joy of saving and shopping online since its launch on 11th April 2015. Launched Xpax year-long reload savings to help Malaysians to save more and unveiled its new brand ambassadors in 2016, Zizan Razak and Elizabeth Tan. KFC Malaysia recently extended their popular KFC Super Jimat Box range to 5 value boxes. Featuring a selection of KFC favourites, each box offers abundance and variety at prices that start as low as RM8.95 nett. The AirAsia Runway Ready Designer Search (AARRDS) goes regional this year with the competition expanded to include Indonesia, Thailand, Singapore and the Philippines, apart from Malaysia to provide a platform for young aspiring designers from around the region to showcase their talents and help catapult them into the fashion industry. Recently Wacoal Malaysia unveiled the ingeniously designed SUHADA at Isetan KLCC. The presentation of SUHADA took centre stage amidst an evening of fun games, instant photo booth imaging and lucky draws for invited guests. Dress sangat sinonim dalam dunia fesyen malah sentiasa menjadi pilihan dalam kalangan wanita. Dress adalah antara fashion piece yang sudah menjadi kebiasaan untuk dipilih oleh wanita. Jika anda lihat trend fesyen datang dan pergi mengikut musim. Namun baju ini sentiasa melekat di hati pencinta fesyen di mana-mana jua. Ianya turut menerima inspirasi daripada stail-stail yang telah lalu dan membuatkan dress wanita teramatlah sesuai untuk dipakai ke majlis makan malam, parti serta ke pejabat. 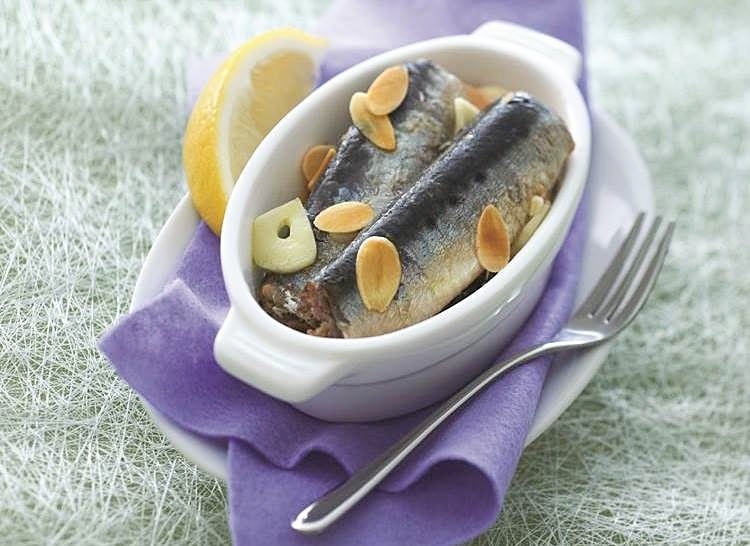 Jasons Food Hall is now available on HappyFresh App, one of the strategic partnership. HappyFresh welcomes one of KL’s most respected and reputable grocers to the line-up of stores that users can now shop from through its app and website. Jasons Food Hall is well known for its high quality and fresh products, an extensive range of exclusive, imported gourmet food, as well as great personal service. Here for HTC One A9 Launch & CNY Dinner at Hilton Kuala Lumpur. HTC Malaysia launched the latest addition to the award-winning HTC One Family, the HTC One A9. Superfast 4G LTE connectivity: Powered by HTC UltraSelfie and incredible imaging and stunning features disrupts the smartphones market. Here for the annually Chinese New Year Carnival 2016 with approximately 5000 guests and shoppers last weekend at Mydin Mall USJ by MYDIN x SJ ECHO. It was a carnival for the community, all races and religions. Yay… we have the opportunity to attend the Chinese New Year Lou Sang and Luncheon with YFS few days ago. Here we were at the YFS Concept Store at IOI City Mall, Putrajaya that was all nicely decorated and full of Chinese New Year mood to celebrate the ‘Style It Your Way with YFS’.